Here in New Hampshire, it keeps snowing…and snowing…and snowing… While the snow is beautiful – and skiing and snowmobiling are great fun – it makes for hazardous driving conditions. 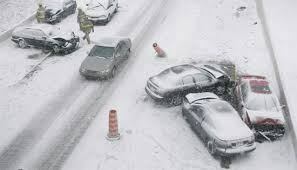 The Law Office of Manning & Zimmerman, PLLC encourages you to take some time to review these very important “Winter Safe Driving Tips” produced by the New Hampshire Department of Transportation. Safe Driving! The Law Office of Manning and Zimmerman PLLC has an enormous knowledge and experience handling New Hampshire personal injury claims. If you have been injured through no fault of your own, call the Law Office of Manning and Zimmerman PLLC at (603) 624-7200 for a free consultation. A well qualified personal injury attorney can provide representation and assistant you require with your personal injury claim. 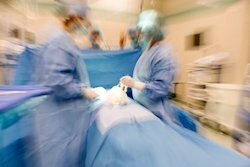 According to the NH medical malpractice attorneys at the Law Office of Manning & Zimmerman PLLC, botched surgeries, preventable infections, improper medications and misdiagnosis are far more common occurrences in our nation’s 6,000 hospitals than most people think. The bombshell dropped in 1999 with To Err Is Human, a report from the Institute of Medicine that estimated between 44,000 to 98,000 people die each year as a result of medical errors. Subsequent studies validated the Institute’s report, including a 2010 review by the Office of Inspector General that pegged annual preventable deaths among Medicare patients at 15,000 per month or 180,000 per year. Another 1.5 million people are injured, according to estimates published the same year from the Society of Actuaries. In September the Journal of Patient Safety reported that the death toll is probably much higher, between 210,000 to 440,000 per year. Aside from the staggering level of human suffering, medical mistakes are costing Americans between $735 billion and $980 billion annually, according to an analysis presented in the Journal of Health Care Finance. – See more in our Let America Know newsletter. Over the past five years, the number of truck accidents has increased by 20% in the United States. Any accident that involves a commercial truck requires a special investigation by the Manchester truck accident attorneys at the Law Office of Manning and Zimmerman, PLLC to determine the cause. For the most part, many of these accidents can create severe injuries to the parties involved in the accident. More importantly, unlike car accidents, trucking accidents often have multiple parties that may be liable for the damages. There are a host of laws and regulations that affect how trucking accidents can be handled by parties. Trucking accidents involve more than just state laws. These accidents are regulated by federal laws or regulations as well. The liable parties could include the trucking company, the owner of the truck, the manufacturer of the vehicle, or other parties associated with the truck driver. Under the current federal laws, a trucking company may be responsible for damages caused by their truck drivers. Additionally, these parties have insurance companies who assess damages and provide financial liability support. Within a short time period, what may seem like a clear-cut matter to you can become quite complex. With the complexity of the liability in these accidents, it is important for an individual injured in such an accident to consult with the experienced Manchester truck accident attorneys at the Law Office of Manning and Zimmerman, PLLC who will understand the common reasons for trucking accidents. Consulting the Manchester truck accident attorneys at the Law Office of Manning and Zimmerman, PLLC can help you determine whether there are multiple parties who can be held liable for your injuries. The investigation starts shortly after the accident, when certified truck inspectors evaluate the commercial truck involved in the accident. One of the major factors that should be included in the investigation is the number of hours the driver was on the road. Fatigue and exhaustion often contribute to truck crashes, and unfortunately, truck drivers often violate hours of service regulations in order to meet deadlines. Trucking companies and their insurance companies will make sure they investigate the causes of the trucking accident. Avoiding liability and paying out compensation will be the basis for their decisions. However, a review of the trucking parties’ past or present compliance failures by the Manchester truck accident attorneys at the Law Office of Manning and Zimmerman, PLLC can provide additional support for your case. Our Manchester truck accident attorneys understand how to fight for injured individuals. If you were injured by a big rig and have questions about your rights, call the Manchester truck accident attorneys at Manning & Zimmerman today at (603) 624-7200. What Is Negligence and How Do I Prove This Claim? Under New Hampshire law, establishing liability and recovering compensation from another driver requires meeting the elements of negligence. In general, negligence law contains four elements: duty, breach, causation and damages. 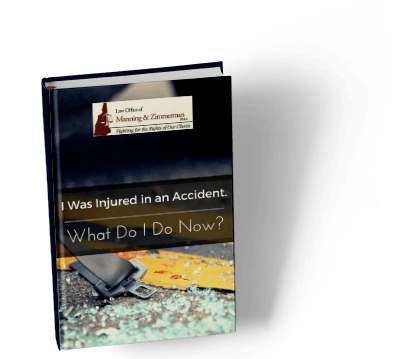 A New Hampshire car accident lawyer at the Law Office of Manning & Zimmerman PLLC can help you understand each of these elements more thoroughly. Did the other driver/defendant follow the Rules of the Road? In general, all drivers owe one another the duty to drive cautiously and carefully, taking steps to avoid unnecessary danger or reckless behavior. Once a duty of care is established, did the defendant breach this duty? This element is often easily met by pointing to an act (or failure to act) that deviates from the the Rules of the Road. 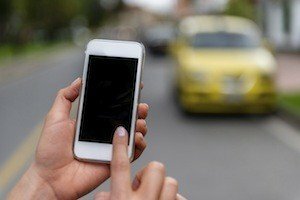 In the context of driving, this could include getting behind the wheel while intoxicated, texting and driving, or running a red light. Did the defendant’s breach cause your resulting injury? In many cases, causation is easy to prove. In others, however, causation can be very problematic, such as when there is more than one defendant. For most negligence cases, there must be harms or losses associated with the incident. While many plaintiffs experience physical injuries, and/or emotional and mental damages, financial and property damages also meet the definition. The Defendant Claims That I Caused the Accident. Can I Still Sue? Yes, even when liability is contested you have a right to bring a claim. To a certain extent, however, recovery will depend upon whether you may have caused your own injuries. In some negligence cases, evidence begins to emerge suggesting that the plaintiff, as well as the defendant, may have been engaging in negligent conduct at the time of the crash or other incident, thereby contributing to his/her own injuries. This is known as comparative fault, and it does not necessarily bar you from recovering. Under New Hampshire’s modified comparative fault statute, a plaintiff who has contributed to his/her own injuries may still recover from the defendant, provided that the plaintiff is not more than 51 percent at fault. If you have any questions about New Hampshire personal injury law, or would like to speak about your case with a New Hampshire car accident lawyer at the Law Office of Manning & Zimmerman PLLC, you may contact us at (603) 624-7200. If you have been injured in an accident, contact your New Hampshire personal injury lawyers to discuss filing a personal injury claim. Your New Hampshire personal injury lawyers will take you through the process, step-by-step. Your injury lawyer will also advise you of some things that you may not have been aware of. Such as protecting yourself from damaging your case through the use of social media or surveillance video. Your New Hampshire personal injury lawyers will give you guidelines to follow that will protect you from damaging your personal injury case. Surveillance Video: You will need to be aware that the lawyers for the opposing side will likely take video of you without your knowledge. Those lawyers are hoping that they will capture you doing something that contradicts your injuries. Social Media: With so many social media platforms available, most people likely belong to at least one. You will need to be aware that the lawyers for the opposing side will also be looking through your social media accounts. They will be trying to find evidence that your injury claims have been exaggerated. Be aware of your surroundings at all times. Look out for anyone who may be holding a hand-held device that is filming you or taking photos. Do not participate in any activity that could belie your injuries. Be sure to set all of your social media accounts to the highest privacy setting. Ask your family members to do the same. The opposing side may try to access their accounts as well. The opposing side may try to send you a friend request. Do not accept any new friends that you do not know personally. Advise your family of the same. Do not discuss your case on social media. That includes sharing pictures of your injuries, any thoughts you have about the case, or any discussions that you have had with your New Hampshire personal injury lawyers. It is advised at this point to abandon social media for the time being. 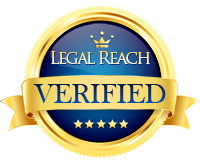 It is recommended to not post anything during the duration of your personal injury case. Advise your friends and family of these social media guidelines that you must follow. Do not allow them to post any information about you or your case. Contact your New Hampshire personal injury lawyers for professional advice: Law Office of Manning & Zimmerman PLLC (603) 624-7200 The Law Office of Manning & Zimmerman PLLC is the injury lawyer Manchester NH that will help you fight for what you deserve! 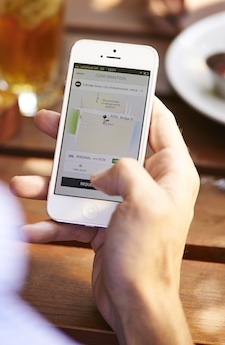 With one tap, riders easily hail nearby drivers with the Uber app.